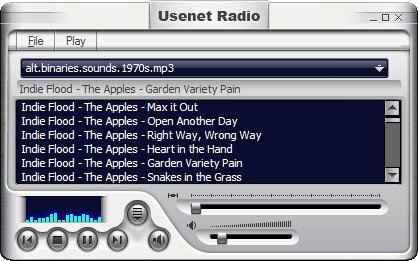 A newsreader that plays mp3 files directly from Usenet. Install, enter your account information and it starts playing mp3 files automatically. It’s that simple. Stop, pause and play using familiar media player controls on the main window. Working for you beneath the simple user interface is a powerful newsreader engine that collects files from multiple connections on multiple servers. Advanced users can edit or create new group lists that combine search results from multiple newsgroups and servers. All the popular encoding schemes are handled automatically. Binary Boy is Usenet newsreader and NZB downloader with many features that make newsgroup downloading easy. 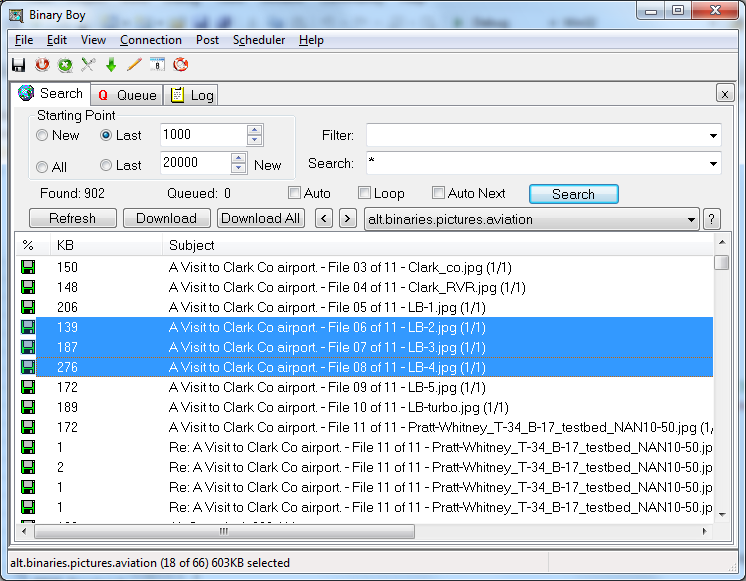 Assign custom search rules, folders and settings to each newsgroup. Download whole .rar sets with two clicks. Send related files, such as music from the same artist, to the same folder. Preview damaged or incomplete files. This Pro edition contains no time limits, nags or banner ads. As a Pro customer you’ll receive access to Pro betas and upgrades.